What are “luxury vintage bags”? All you really need to do is check out the Builford online collection, and you’ll have your answer. There are really only two kinds of vintage. The super glamorous, and the super wacky. Digging through vintage stores is always a crapshoot – you find a lot of crap, but sometimes you score big. Builford, on the other hand, makes sure you score every time. These luxury vintage bags aren’t, strictly speaking, “vintage.” The bags themselves, for example, are newly created and manufactured. However, with vintage materials and designs, it’s not at all a stretch to call this collection luxury vintage bags. 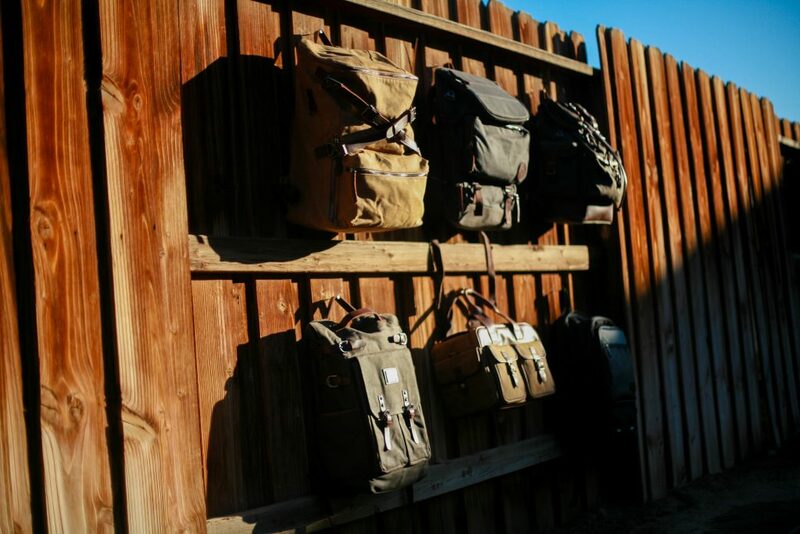 All Builford bags have the special vintage feeling that comes with waxed canvas and leather. Even the most rugged of all Builford rucksacks has its own charm and luxurious feel! It’s a very varied collection, from handbags and totes, to haversacks and messengers, all the way to backpacks and rucksacks. You can even find a fully equipped camera bag in the collection! Even the backpacks as well have a wide range. You’ll find the large, hiking backpacks standard for waxed canvas, but also smaller, lightweight packs. The Ranger Backpack and the new Small Standard Pack are good examples of the latter! In addition to the bags, Builford also offers a waxed canvas jacket, just to round out the collection. Builford luxury vintage bags are just as good as the ‘real’ thing. In fact, they’re even better, as they come with modern touches and interiors. The manufacturing and production is also top quality. Essentially, this ‘vintage’ bag will become truly vintage! That’s the ironic and beautiful part of the Builford Lifetime Guarantee! Find out more, browse the collection, and order your own bag today at www.builford.com! Share the post "Luxury Vintage Bags, Backpacks, Messenger Bags, and More!" Posted in Blog and tagged backpacks, builford, luxury vintage bags, luxury vintage brands, messenger bags, rucksacks, tote bags, vintage backpacks, Vintage bags, vintage waxed canvas backpacks, waxed canvas, waxed canvas bags. Bookmark the permalink.